A favorite clean eating breakfast choice. 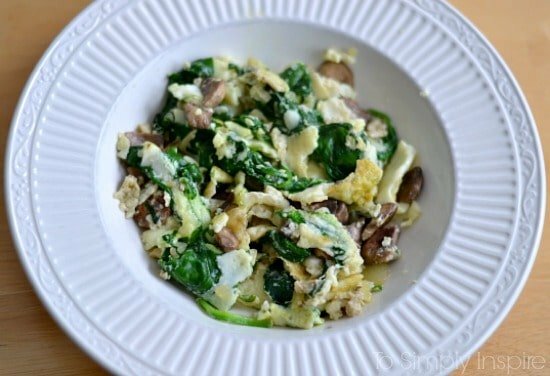 this Egg White Scramble is a packed with protein and good fats and low in carbs. I have a funny little confession. I have been eating the same thing every single day for breakfast for over a year now. My husband makes us this fabulous healthy, clean eating Egg White Scramble. 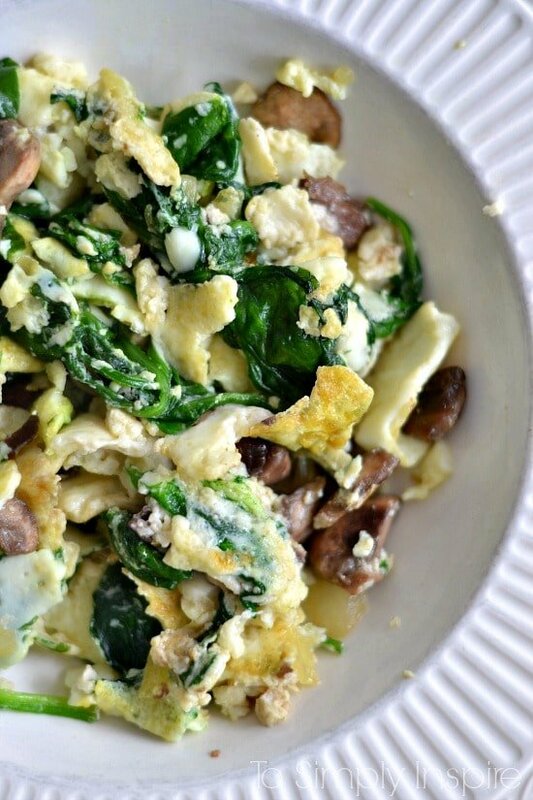 Loads of protein and good fats, low in carbs equals perfect start to your day. And I just don’t ever get tired of it. 🙂 You can, of course, add loads of other veggies you like. It’s fabulous with red peppers, zucchini, asparagus. We even made it for dinner on a “Breakfast for Dinner” night. This makes enough for one person. So we double the following ingredients for both of us. Put a tablespoon of coconut oil (or olive oil) in a pan. Then flip and scramble to cook to your own liking. This was so good, made it for breakfast, added some red pepper and a wee bit of cheese. Delicious, thank you for the great recipe and I think I may end up making it to take to work as well! Where exactly are you getting your carbs? This an extremely low carb breakfast. Almost none. Excellent for diabetics.